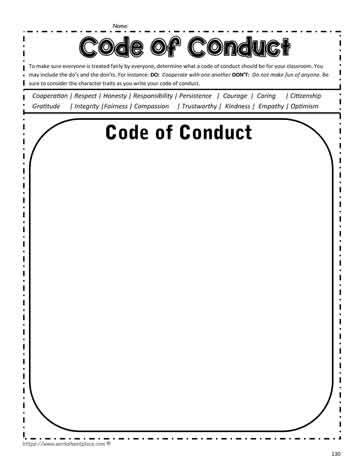 A classroom code of conduct worksheet that requires you to embed the traits. What would a classroom code of conduct look like if it was kept positive and embedded the traits into it? A great activity for students to teach about character traits. Character worksheets for 4th, 5th and 6th grades.